What is Social Justice in South Africa? This is an ongoing project that follows my research into the rehabilitation programmes in South Africa. Curious to see what these two guys have in common? It has finally come to an end. My In-depth project Prisoners Living Again in online with hopefully no hitches. So what do these men have in common? Follow the link to find out! The final page is ready for viewership Prisoners Living Again – a multi-layered piece which looks at the lives of two former inmates and their process of reintegration. I spent a good part of this morning and last night working on the 3rd draft of my essay. It’s been an intensive couple of hours. With some good advice from Ruth Hopkins and Fred de Vries I spent most of that working on improving my introduction. 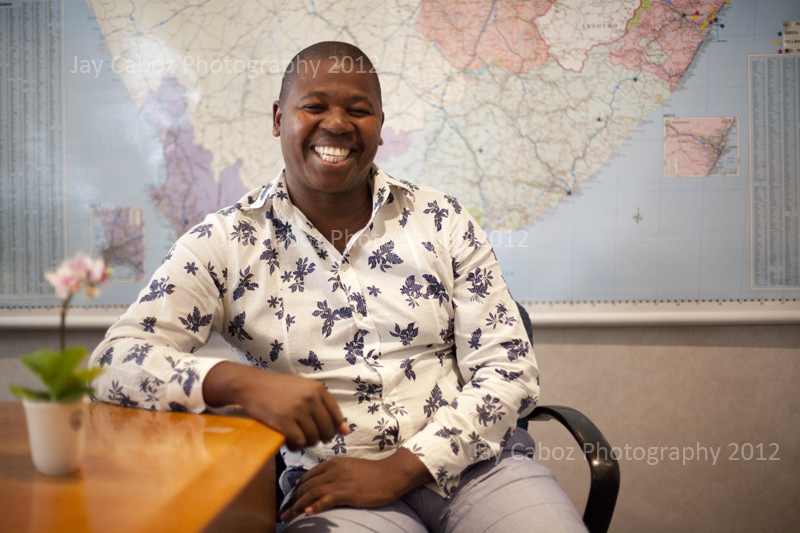 Initially when I started my introduction I was captivated by a story Richard Ngoma told me. The story revolved around a day when Ngoma met the same people who sentenced him to prison almost 11 years ago. When I was interviewing him his story seemed so strong come from his mouth. The emotion and hardships he experienced was so evident when it was coming from his mouth. Because of this I strongly felt this would make a good introduction for the piece. The story reflected, all in one, the difficulties one has to face being a prisoner in the outside world. Because of the feeling and emotion during the interview I thought the best way to portray this would be to put the introduction in a narrative format. This however ended up being confusing and hard to follow. There was simply too much to follow. Ruth and Fred suggested I try play with it some more and I went for a more basic introduction that filled in some of the missing gaps. Along with improving my explanation and finding more focus throughout the essay. This I am hoping has put me on the right track. In the meantime my days productivity was disrupted after going to Wits. The computers there have been under some real strain and are pretty full. There was not enough space on them to edit my videos, which was quite a pain. The trip cost me an hour and 30 minutes worth of valuable editing time I could have easily done at my house. As if things didn’t need to get worse my USB crashed at 19h00 and completely fried my entire afternoon’s worth of work, which included this blog, the beginnings of my self-reflection essay and my editing. Luckily I was able to recover my essay draft because I had sent it in early to Fred and Ruth. A good lesson for all those people leaving things for the last minute, DONT, send the stuff through as soon as you can and make sure you have multiple copies of everything you do. I lost only 5 hours of work, but it could have been my entire project. So after spending copious amounts of time photographing and interviewing various people for my essay its time to start considering the structure of my photo essay’s. In light of some very depressing blog’s about prospective photography from my fellow classmates I thought the following would be a great help to nail those captions. 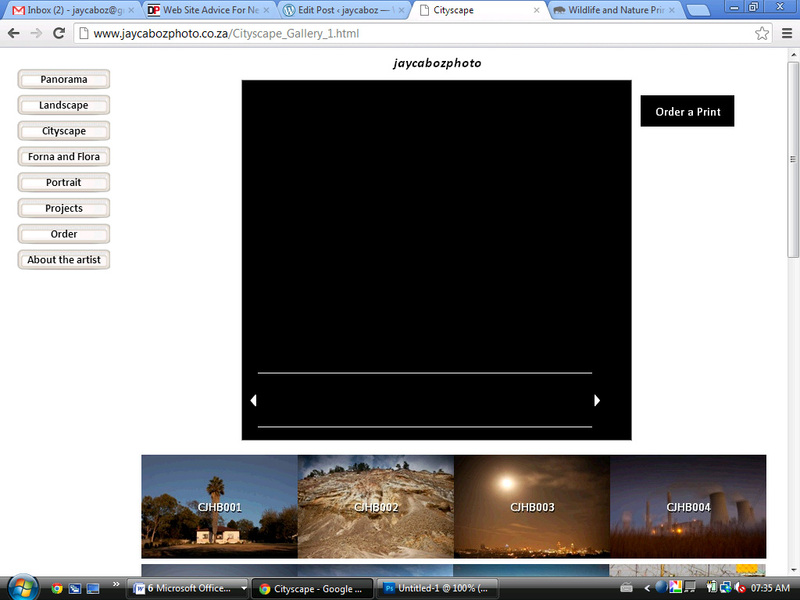 I have taken this from Alamy.com’s news picture guidelines. Have a look at these fictional captions and see what a poor caption looks like and how it may be improved. Why is the caption bad? Why should I care? Leaves fall from the trees in Regent’s Park, London, UK, on Thursday July 14, 2011, as the country suffers its worst drought for 35 years. The UK’s Met Office reported on Thursday that no rain had fallen in the UK for 40 days and 40 nights. What is she voting for? Why should I care? Norah Jones, 24, a firefighter, enters a polling station at Big School, Little Town, UK, on Thursday May 5, 2011. Polls suggest the General Election result will be the closest for a generation. Peaceful demonstrator gets hit by an out of control riot policeman in Trafalgar Square as students demand the right to an education. Why should I care? A policeman strikes a student protester at a demonstration in Trafalgar Square in London, UK, on Friday April 1, 2011. Fights broke out between demonstrators and police during a march by more than 100,000 students, who were protesting at Government plans to triple University tuition fees. 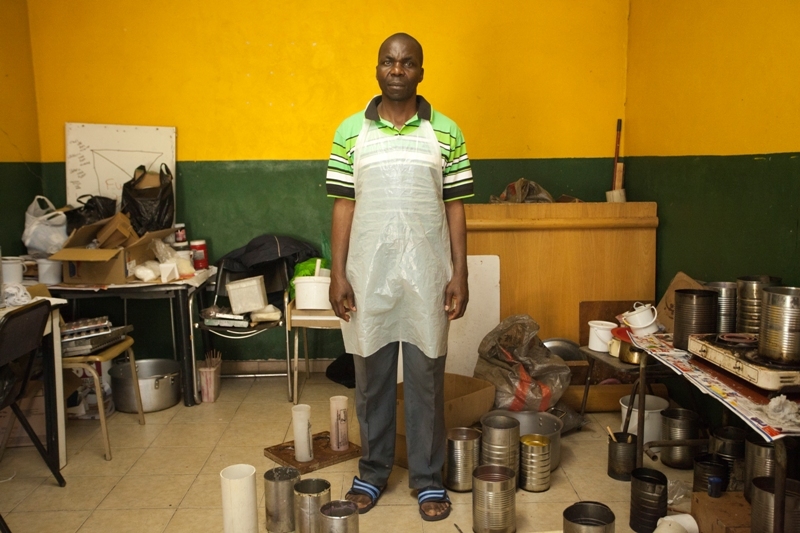 A candle maker stands in his studio. Piri was serving a 25 year sentence for armed robbery, murder and illegal possession of firearms and ammunition. During his time in prison Piri completed his Matric. He says throughout his sentence he was supported by the letters his family sent him. He now makes candles in the South African township of Soweto for a living because of the education he recieved in prison.Educating prisoners significantly helps with reducing the chances of reoffending. I am sure Mr TJ Lemon and Mr Antony Kaminju would approve of this message. IN DEPTH DIARY – Defining core issues that relate to Social Justice? IN DEPTH DIARY – What is the Social Justice? The first time he made this trip was after he had been released. His grandmother, Maria Ngoma, was shocked when Ngoma, wearing a purple shirt, black blazer and a pair of Puma sneakers, arrived on her stoop outside the backyard. She ran to him and hugged him. She had thought that she would be dead by the time he was released. She had never expected to see him again. Ngoma’s brothers had fetched him from correctional services and had decided to surprise the rest of the family by not telling them that Ngoma had been released. Ngoma makes that same 45 minute drive from Witbank to his home, every weekend. It’s already been four days since my last post and I am starting to feel the pressure with the project. Due date for 2nd draft was last night and I had to make up for lost time and spend most of my weekend catching up after a power cut on Friday killed the electricity. This wasn’t much of a problem for me until I realised that I couldn’t make coffe for the whole day and began suffering from some serious withdrawl symptoms. 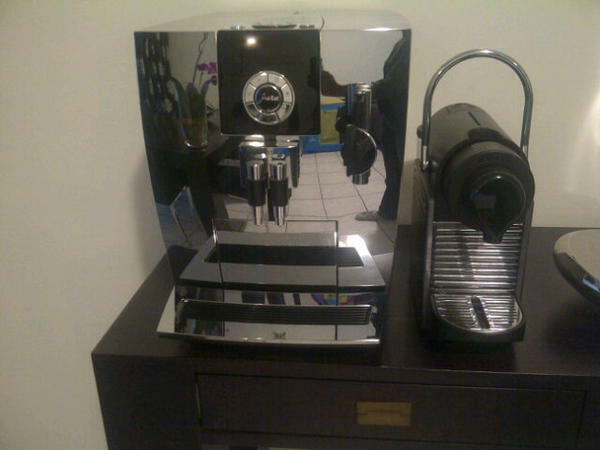 I loved the people who sent me photos of their home coffee machines though. That was soo considerate of you @DineshBalliah and @kirsti_buick. Lame. @JayCaboz party at my house! 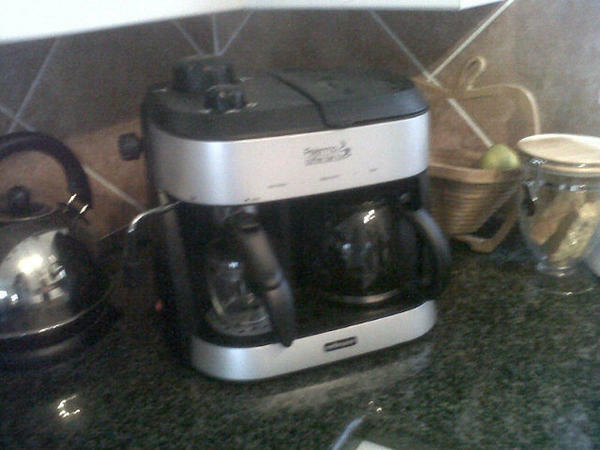 Buick’s coffee machine which looks exactly like mine. @kirsti_buick @JayCaboz Clearly you kids need to be educated about coffee 😉 Dinesh pwnd. 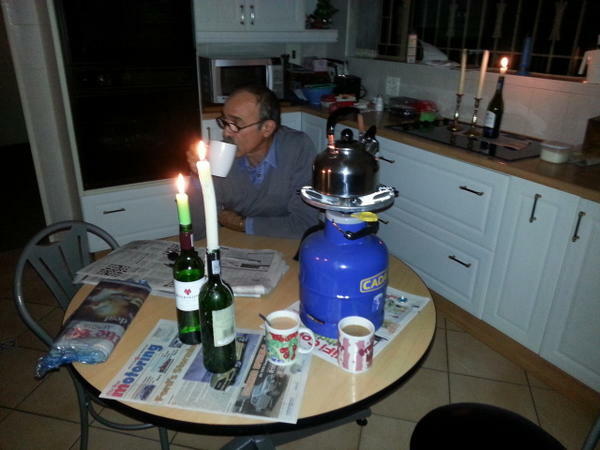 @DineshBalliah @kirsti_buick no wonder you don’t drink the coffee at wits. Still got no power look @ wat I got. In retrospect it was well worth the effort spending my entire weekend on the essay and I feel like I am ready to move into the multimedia component of the projects. I am actually quite excited. Until my mentors come up with some more advice to make it even better. After having spent countless hours prepping, many minutes interviewing and so many photos taken I have finally sent off my first draft for reading. One of the toughest difficulties I encountered was the fact that I had so much information. We are supposed to have a limit of 2 000 words for our essay, but I have enough information for two essays. Both Happy Piri and Richard Ngoma have intriguing stories to tell that go beyond the word limit, and I am stuck between wanting to tell their stories or else dropping one and then focusing on just one person. In this case it would be Ngoma, since his story has not been so extensively covered by my fellow peers. In the interim I think this is going to be a great opportunity to make use of the multimedia platform segment of the project to get even more information across. “Please be aware that a few images scattered through your text piece do not constitute a multi-media piece for this project. You are welcome, in fact encouraged, to break up large blocks of text with images or maps. However, your multi-media piece must stand separate and form a substantial second leg to your project. So this has got me thinking, how do text and visuals relate to one another? Are they seen differently online than they are on paper? I think yes. Look at the format of Facebook. It incorporates visuals along with text in a very different way. You have your timeline profile page, with a giant panpramic crop at the top of your screen, followed by a series of your comments, thread and in big format your images. Whether its that photo of that cat you liked that had some random funny poem on it, or if it’s a family portrait. They stand out and the text filters in around it. I am not going to deny it. This section of the project is far more appealing to me than the writing of the essay. It’s probably because I am a visual learner. I don’t imagine things in text, but with details and imagery I can relate. So how do I incorporate this into my project? 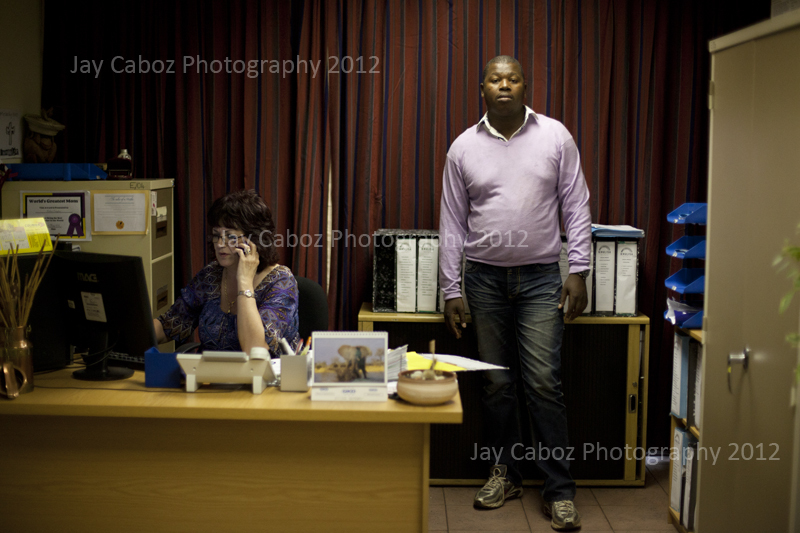 So yesterday I went to Witbank to interview Richard Ngoma’s family and work colleges. The drive was going very well at the beginning until I realized this actually meant I had to go to Witbank, instead of the main offices of Khulisa in Rosebank. The error came about because I had ASSuME’d that I would be meeting Richard at the same venue where I had previously met him. Of course this was an incredibly stupid ASSumtion to make. Nevertheless, after a two hour drive I met up with Richard in his real offices in the city. The interviews revealed some unexpected sides of Richards character, namely that everyone had been genuinely surprised when they found out that he was a former prisoner. This set my alarm bells ringing. I mean after all what should a former prisoner be like? This I believe is one of the core issues why the reintegration process is so unsuccessful. Read more about the causes and you find that stigmatization and fears of truth come into question a lot. In Richards case, you find that he feels like he needs to prove himself to everyone around him all the time for instance to justify his presence at work rather than say someone who does not have a criminal record. However when you talk to his peers they seem to hold him in high regard with little to no concern about his former life. It seems this is an issue of self perception. This then leads me to another question. Who is it that helps to keep him motivated? Richard attributes this to his family and his girlfriend as well as his own determination to reconcile for his past mistakes. It seems that a strong social backbone is a core stabilizer to Richard’s success. Should there be more family relationship-type building programmes that can help future prisoners survive the outside world? I think Richard would say yes. That and improving ones self-motivation. In case you have gotten this far, more of my fantastic advent continues. After a 45 minute drive to get to Ngoma’s family, I suddenly realized that I had no airtime. This became incredibly relevant on route home at 20h23 and 43s when I realized that I would not have enough petrol to make it and that I only had R40 in my wallet. Yes that gave me 3.85 liters to make it back, which I did. But just. I hope there are more petrol stations that actually have petrol in them, since the truck driver strike is still going on, or else I won’t be going in to the Vuvuzela newsroom for a while. #vuvuindepth crisis averted. I found the following very interesting considering we have to develop a website next week. For my #vuvuindepth project I will need to consider these pointers from Digital Photo.com, especially considering that I want to produce a photographic presence. I have just taken out some of the main points. there is a whole lot more information available on the page that you’ll find interesting. 1. First off, make sure you have a web site. 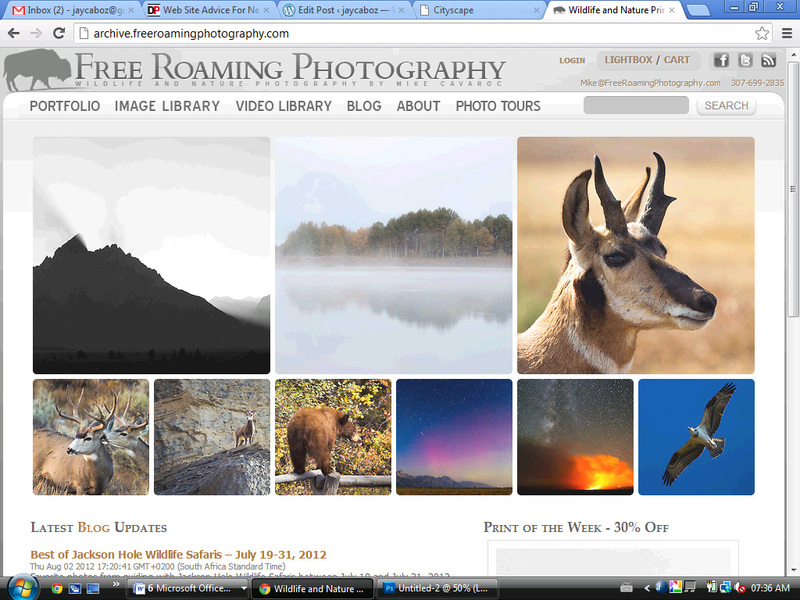 I know photographers who manage to somehow stay in business without any web presence at all. These folks are fighting an uphill battle, and Cavroc says not only is a web site essential today, it’s only going to become more important as we live more and more of our lives online. 2. Forget the bells and whistles. The best sites load quickly and communicate clearly—and they are indexable by search engines to improve customers’ ability to find you. That means the once-popular Flash-based web site is no longer the photographer’s best friend. 3. Develop a message. Some photographers err on the side of too many photographs, while others don’t have enough in their online portfolio. 4. While social media outlets such as Flickr and 500px are great, they’re no substitute for a truly personal web site and portfolio—which you can order ready-made and fully customizable from many vendors online. 5. Photographers are visual creatures, but sometimes we can get caught up in overly minimalist designs, or clever elements that actually interfere with the user experience. So when in doubt, make your site easy, uncluttered and clear. 6. Don’t use music. Not only is it often a copyright violation, it’s just a bad karma. 7. Do your homework. Google Analytics makes it possible to know almost everything about who visits your site, how they get there, and how long they stay. 8. Blog about it. Whatever it may be about, blogging helps build a robust presence online—which is something search engines and searchers alike are really fond of. Happy Piri left prison in 2010. He was serving a 25 year sentence for armed robbery, murder and illegal possession of firearms and ammunition. During his time in prison Piri completed his Matric. Rather than get a degree he decided that he would spend his last few years in prison making learning a practical skill. He chose to spend his time learning how to make candles. Piri sold his first set of candles a few hundred meters down the street from his step mothers house in Soweto. 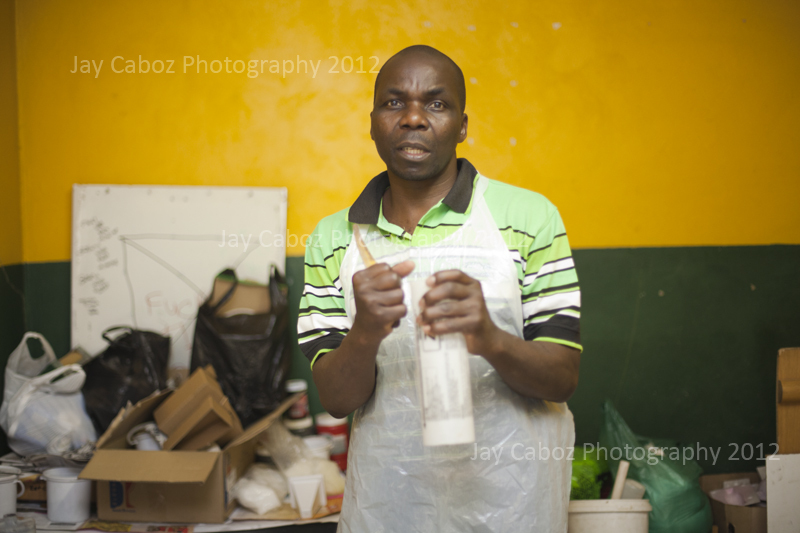 The local Spaza shop owner, a Pakistan gentlemen said Piri, was amazed at the quality. He sold a small box of plain yellow wax candles to the man. 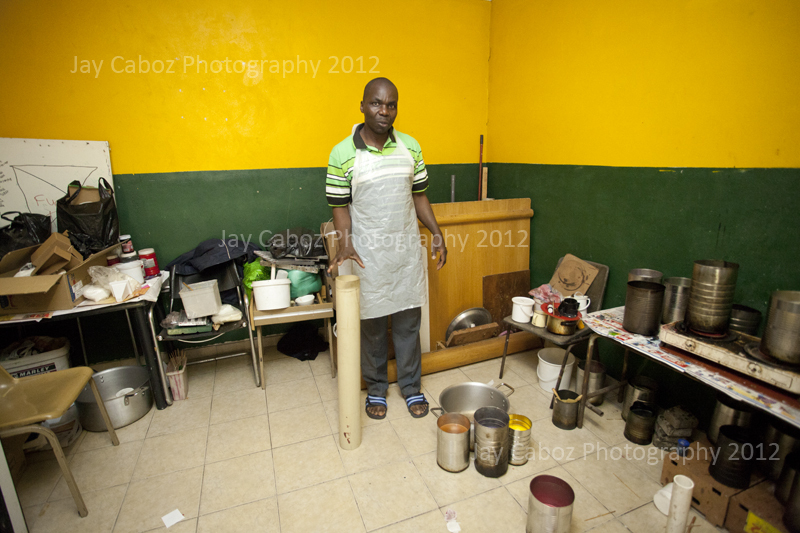 Piri in his candle making office. He thinks the small room is large compared to the size of room he was staying in prison. In here he can only make a few candles a day. But he hopes to save enough money to further his business to make 300 a day. The room is supplied by NICRO who allow him to work here for a small fee once he had left prison. In spite of his relevant success things are not easy. He digs around in a large pile of debris stacked in the corner of his office and pulls out a large heavy metal mould. Piri then moves to a secondhand desk in another corner of the room. He bends behind it. Shuffles through a stack of papers and pulls out one. He then comes over to me and points at something on it. The machine will cost Piri R26 000. This is money he does not have since he is now supporting his family. Richard Ngoma was sentenced to 18 years in prison at the age of 17. He went in to prison a disappointed and bitter young boy, but through the self development programmes offered in prison he was able to overcome his anger and deal with his emotions and cope with his issues. He is now studying a Bcomm majoring in Law through Unisa with the help of a bursary from Khulisa. IN 2005 he made an effort to apologize to the family of his vicim, but this has not deterred him from actively participating in restorative justice programmes in the JHB Medium C prison. Richard can you tell me about the efforts you made to reconcile with the families victom? why did it go unsuccessfully? can you take me through the difficulties of that day? 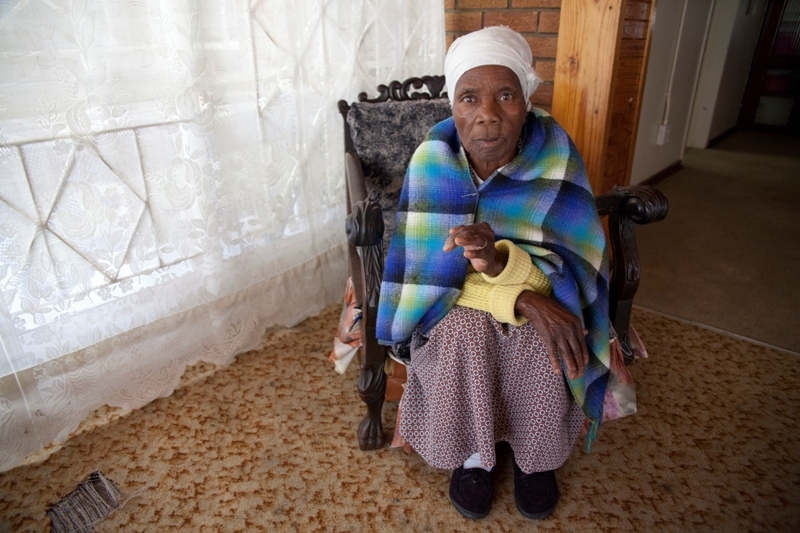 Ngoma was not able to fully reconcile with his victims. Fortunately this motivated him to work even harder with the people he meets now. To make sure they don not have to face the problems he faced. Did you experience any other problems with other people when you came out? or was it easier with other people? what was it like seeing your grandmother again? how did that go? can you tell me about that story? Ngoma met the same magistrate who had sentenced him to to 18 years a few months ago, this he said was another hard experience which brought back memories of his first day in prison. The story he told was heartbreaking. How did your first day of release go? can you tell me about that story? Ngoma left prison with a smile on his face and a new set of clothes. He was wearing a purple shirt, with new jeans and PUMA sneakers. When he got outside, his prison warden, and all the social workers he had been working cried and gave him a large bag of goodies for his journey home. His family celebrated well into the night.It was by far the happiest day he has ever had. Why is it when you do video there is always a problem? So it’s come to my attention that my video uploads don’t work on my computer. In fact the format does not even download from the Canon 500d. My solution has been to find another computer in the meantime, I think it could be a problem with XP. In any case, after a very bust two days a I have managed to see some very interesting things. As i mentioned in my last post, my first interview was with NICRO’s Ivan Evans, all completely meant to be in video format. He provided some valuable information on how NGOs operate within the Correctional Service system as well as gave some of his own personal reasons for doing what he does. Hopefully I will be able to transcribe this information soon. It provides some good general background for my piece, including confirmation on the statistics of recidivism prisoners (prisoners that end up in prison on more than one occasion) was still in a bad a situation as 84 -95%. The way he outlined it, it is a rare case that prisoners are able to return to a form of normal life when they leave, unless they have gone through a re-integration programme. The system is vital to helping these men and women, yet they [NICRO and Other NGOs] are under server strain with budget cuts and under staffing being core problematic areas. There are only 5 social workers who have to deal with over 22 prisoners each. Almost double the amount they should be addressing. This Evans argues leads to insufficient personal attention, which once again strains the chances of prisoner recidivism.